HAND SHAPE – Male vs. female differences, racial differences & IQ! A male hand + a female hand. Hand shape varies between the sexes: males typically haver larger + relatively broader hands. Hand shape also varies among the races: in Asia the avarage hand shape is relatively narrower than in European & North American countries. And there is even a link between hand shape & intelligence! But in order to understand these patterns properly, one first has to understand the relations ship between hand shape & body length. Because in general, all longer populations in the world (males, Europeans & North Americans) typically display a relatively broad hand shape, while all small populations (females, Asians) typically display a relatively narrow hand shape. A good measure to describe the shape of the hand is the so-called ‘hand index’, which is defined as the ratio between the ‘hand width’ (= palm width measured at the metacapals) vs. the ‘hand length’ (= the distance between the tip of the middle finger and the distal wrist crease). The average ‘hand index’ in human kind is close to 0.44, and is typically much higher than the ‘hand index’ seen in primates, which is typically (far) below 0.40 (though in gorillas – the largest of all primate species – the ‘hand index’ is higher than 0.40). NOTICE: Finger length can also be measured relative to ‘hand length’ & ‘hand width’, but that topic will be discussed later. 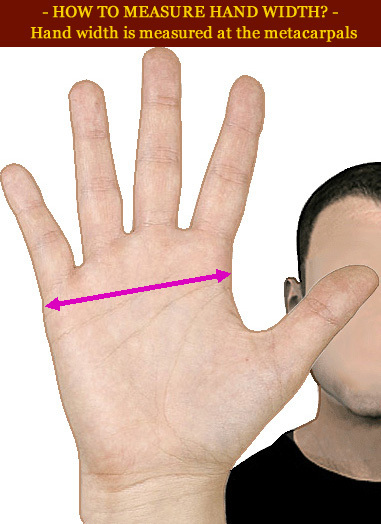 In males the ‘hand index’ is typically higher than 0.44, and measures above 0.45 are often seen. While in females the ‘hand index’ is typically lower than 0.44, and measures below 0.43 are not rare at all. These sexe differences are for a large part the result of the body height differences between males and females. The average ‘hand index’ among the various races differs significantly, and is typically lower among asians. In people from China does not vary a lot from the average of human kind, but among for example people from Japan & India the ‘hand index’ is typically close to 0.43 or even lower. 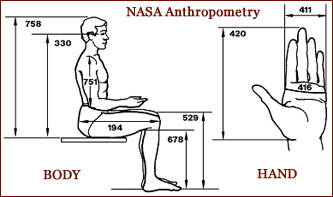 At least partly these differences are explained by racial differences in body height. A high hand index typically correlates with a low IQ. And this link between hand shape & IQ has been confirmed in quite a few studies among various types of populations. In a 1980 study in the former Yugoslavia reported among 540 men a negative correlation between hand index & all 10 measures for IQ. And the two most common causes for mental retardation (Down syndrome & fragile-X syndrome) are known for having typically a relatively broad hand (= high hand index). Regarding the sexe differences, one has to be aware of the earlier mentioned point that tall populations typically have a higher ‘hand index’. The fact that women have a lower ‘hand index’ compared to men, is largely neutralized by the fact that women are smaller than men. And therefore there one should not associate this sexe difference with IQ differences among the sexes (because so far there is no evidence for that at all). And finally there is evidence that when the ‘hand index’ is corrected for body height, then this appears to explain a significant part of the IQ differences that are typically seen between the nations of the world. Though this issue has not been studied thoroughly. The above describes patterns for hand shape implicate that regarding the implications of a high or low ‘hand index’ indivuals, one always has to consider sexe & race before jumping into conclusions! 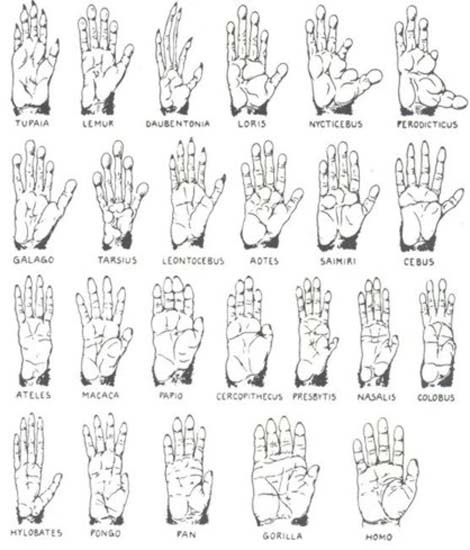 Time for a hand shape palm reading… what is your ‘hand index’?